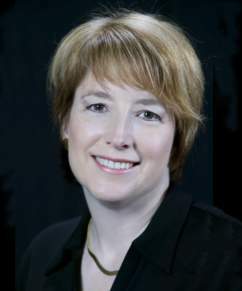 Kelly (Buckwalter) Casanova has been teaching West Coast Swing in the San Francisco Bay Area since 1981. In addition to teaching weekly classes in three different cities around the Bay, she travels throughout the country competing, teaching, lecturing, and judging. Kelly has judged the U.S. Open Swing Dance Championships for many years and with the encouragement of her mentor, Annie Hirsch, she has served for more than a decade as Chief Judge of numerous prestigious conventions including Phoenix, Boogie by the Bay, and Seattle Easter Swing. Kelly began her dance career as a senior at UC Berkeley in a social dance class. There she met Bob Demyanovitch who introduced her to Tony Genero, a West Coast Swing instructor. After lessons, they would drive to the “Avenue Ballroom” to practice – oblivious to the fact that 50’s rock ‘n roll music was insanely fast for West Coast Swing. Fast forward a year later and Kelly was managing both the Jitterbug and West Coast Swing programs at the “Avenue Ballroom”. Since then, Kelly has never looked back and has continued pursuing her love of Swing. In addition to Swing, Kelly has studied many forms of partner dancing, including five years of training in International and American Ballroom with Rex Lewis and Rhona Pick. She has been featured on local, national, and international television in news clips, documentaries, and entertainment, as well as appearing in books, magazines, and newspaper articles promoting Swing. Kelly Casanova has supported her local and national Swing communities by volunteering to teach at various public schools, providing articles on dance for several dance newsletters, and introducing several innovative ideas at her own convention, “Swing Break”. She has produced a line of popular instructional dance videos; is a charter member, and on the Founder’s Committee of The Next Generation Swing Dance Club; and she is a member and elected Founder of The Redwood Empire Swing Dance Club. She is the RESDC’s performance team choreographer/coach – a dance team that performs to educate the public about Swing and generate new dancers in the community. She has also served on the U.S. Open Swing Dance Championships Advisory Board for many years and is a long time World Swing Dance Council member. Kelly is also the founder of the “Jack &amp; Annie Scholarship Fund” which provides financial aid to well deserving juniors in the dance community.